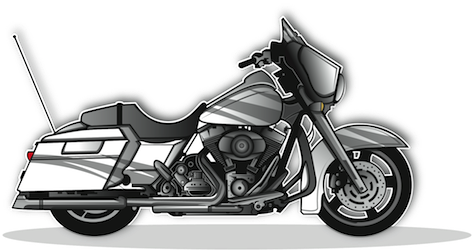 Did you know that cruiser motorcycle designs now comprise an estimated 60 percent of the U.S. motorcycle-buying market? As a result of this soaring trend, most of the major manufacturers now offer at least one cruiser design, which first gained popularity in the 1930s to 1960s timeframe. RV America is here to ensure that you have the most up-to-date insurance policy to complement this classic style. Whether you have a Harley-Davidson, Indian, Excelsior or Henderson old-school cruiser or whether you have a new chopper design, we have a policy that fits what you need. You can get started on finding the ideal policy by getting a cheap motorcycle insurance quote on our site. Make sure you protect your mid-sized cruiser motorcycle with the lowest insurance from RV America. Click here for your free insurance quote. For more information on our cruiser insurance you can email us at info@rvainsurance.com or call us toll-free at 1-888-803-5999.